"Show Your Hands Empty, Back and Front"
The Heavenly Helicopter - Joseph H. Fries, M.D. Cat Gut and Nylon - Tip - Joseph H. Fries, M.D. 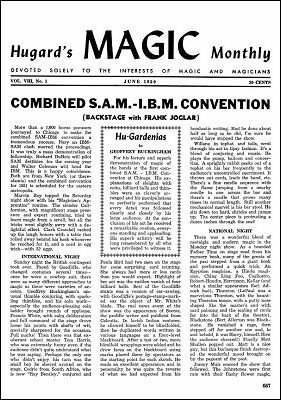 Hobby Magic - Morris N. Young, M.D.